If there is one product that can be considered a police firearm of excellence, it is the 12 GA caliber shotgun. For many years, police officers around the word have confirmed this fact using the 12 caliber in their duties. Its firing power and intimidation vey often manage to dissuade the aggressor by simply auctioning its repeating system. This simplicity in handling and flexibility in use were taken to the extreme with the launch of the ST 12 shotgun, a firearm that combines all the best attributes to make it a classic within police-use shotguns. 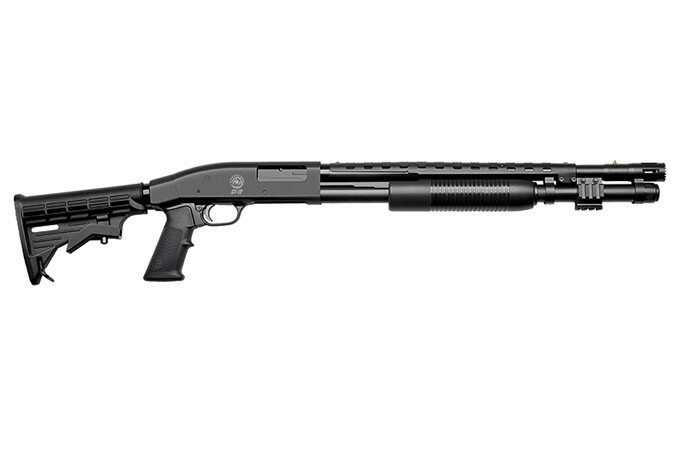 The ST 12 uses Pump Action system, with a capacity of up to seven 12 GA caliber shells, 18 or 20 inches barrels with a 3 inches chamber. The police use shotgun can be used with a wide tange of ammunition, such as convention shells loaded with double ought, special ammunition for breaking down doors, less lethal ammunition, among others. Flexibility, hgh performance and facilitated handling are some of the attributes of this new product that has contributed to the optimization of the Taurus police product line.